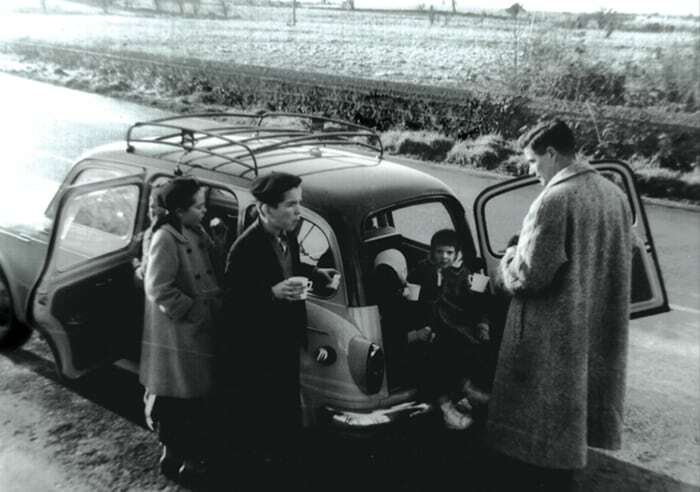 We were moving to Saint Paul after a year in Ireland, all ten of us packed into a tiny Fiat station wagon for the drive from New York to a big house on an even bigger hill set on Osceola Avenue. I rolled the street name on my tongue, then whispered it a few times. It tasted exotic after Elm Street in Geneseo and Mount Auburn Avenue in Dublin. No one in my family had lived west of the Hudson before, and my cousins asked me if the prairies ran through the city and whether there were roads. I was eight years old and nervous to be moving to a house “planted right on the banks of the Mississippi,” as my parents described it. I envisioned a rickety structure jutting sideways from a riverbank, just about to collapse. It turned out we were a few miles from the river, but that’s the way an eight-year-old thinks. Though Kenwood Parkway abutted Osceola and posh Crocus Hill was just a few blocks away, what I was drawn to was the sprawling West Seventh neighborhood down below our house, where the Schmidt Brewery sign pulsed red every night. One of my favorite things was to ride my bike down the big hill to Pleasant Avenue and then St. Clair, and deliberately try to get lost in that neighborhood, looking away instead of at street signs until everything became foreign and almost dizzying. In the fall I loved to roll down the big hill our house was planted on, tumbling into piles of leaves that sprayed the air with a golden kind of dust and stopped my descent before I hit the layered limestone walls at the bottom. Osceola was my era of mismatched pedal pushers and striped shirts, dandelion-filled grocery bags that earned a nickel from my father, peeling paint and freezing pipes, and my mother singing “I’ll Take You Home Again, Kathleen,” the tune drifting up from the laundry cellar all through the house built in 1891.